Pretend play has never been more real with these realistic plastic coins. Replicas of actual coins make cash register games even more fun. 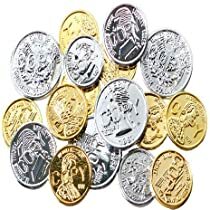 These coins are also great for teaching children how to count money. Lot of 72.